فرودگاه لئوناردو دا وینچی-فیومیچینو (به ایتالیایی: Aeroporto Leonardo da Vinci di Fiumicino) یک فرودگاه همگانی مسافربری با کد یاتا FCO است که یک باند فرود آسفالت دارد و طول باند آن ۳۲۸۸ متر است. این فرودگاه در شهر فیومیچینو کشور ایتالیا قرار دارد و در ارتفاع ۵ متری از سطح دریا واقع شده‌است. ایر لینگاس، ایر فرانس، هواپیمایی کرواسی،خطای یادکرد: خطای یادکرد: برچسب تمام کنندهٔ </ref> بدون برچسب <ref> (). ↑ "Traffic data". Retrieved 2 June 2015. ↑ "Update as of 15SEP14: Aegean Airlines to Open 23 Routes in S15". Retrieved 2 June 2015. ↑ ۵٫۰ ۵٫۱ ۵٫۲ ۵٫۳ ۵٫۴ ۵٫۵ ۵٫۶ ۵٫۷ خطای یادکرد: خطای یادکرد:برچسب <ref>‎ غیرمجاز؛ متنی برای یادکردهای با نام adr.it وارد نشده‌است. (صفحهٔ راهنما را مطالعه کنید.). 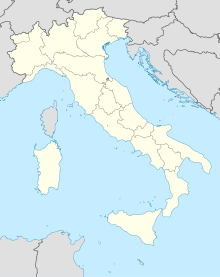 ↑ "Spain's AlbaStar to offer scheduled Italy-Lourdes flights". ch-aviation. Retrieved 2 June 2015. ↑ "Alitalia to lease a Mistral Air ATR72 for Ancona-Roma flights". Ch-aviation.com. Retrieved 25 April 2014. ↑ "Atlantic Airways Plans Limited Vagar – Rome Service Sep/Oct 2015". airlineroute. 14 July 2015. ↑ "Blue Panorama Merida Service Changes from Dec 2015". Airlineroute.net. 16 July 2015. Retrieved 16 July 2015. ↑ "New and dropped routes". Easyjet. ↑ "Easyjet regains growth path in Spain". 02b.com. Retrieved 17 December 2014. ↑ "New direct flight to link China's Chongqing and Rome". Retrieved 2 June 2015. ↑ "THAI Moves Rome Cancellation to late-Jan 2016". Airlineroute.net. 12 August 2015. Retrieved 12 August 2015. 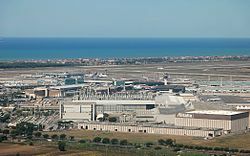 ↑ "Important information for passengers travelling to and from Rome Fiumicino Airport". Wizz Air. Retrieved 24 June 2015. ↑ "Wizz Air timetable". Wizz Air. ↑ "WOW Adds Three New Destinations". Iceland Review. Retrieved 2 June 2015. ↑ "Timetable". Ukraine International Airlines. Retrieved 8 May 2013. ↑ "Alitalia resumes Delhi service from Oct 2017". Routesonline. Retrieved ۷ ژوئن ۲۰۱۷.